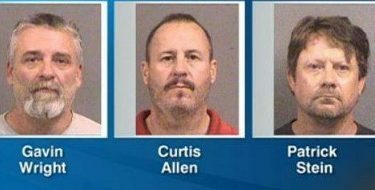 Three members of a militia group are set to stand trial on charges alleging they were plotting to bomb a mosque and a southwestern Kansas apartment complex where Somali refugees live. Gavin Wright, Patrick Stein and Curtis Allen have pleaded not guilty to charges including conspiracy to use a weapon of mass destruction, which carries a possible sentence of life in prison. Their trial is scheduled to start Tuesday in Wichita.